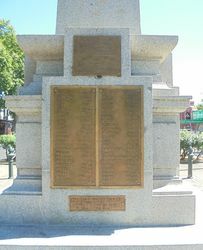 A monument commemorates those from the Kensington and Norwood District who died in service or were killed in action in World War One. 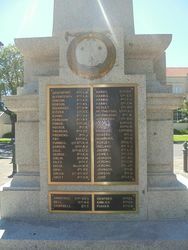 The Norwood monument in memory of fallen soldiers will be unveiled and dedicated tomorrow afternoon. 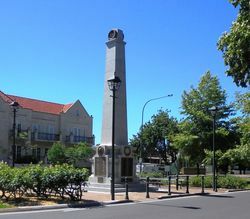 The monument, which is in the form of a granite obelisk, has been erected in the plantation on Osmond terrace, in front of the post office. 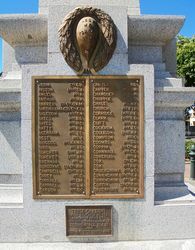 It is a fine column, and bears tablets upon which are inscribed the names (183 in all) of those soldiers from Kensington and Norwood who fell in the Great War. 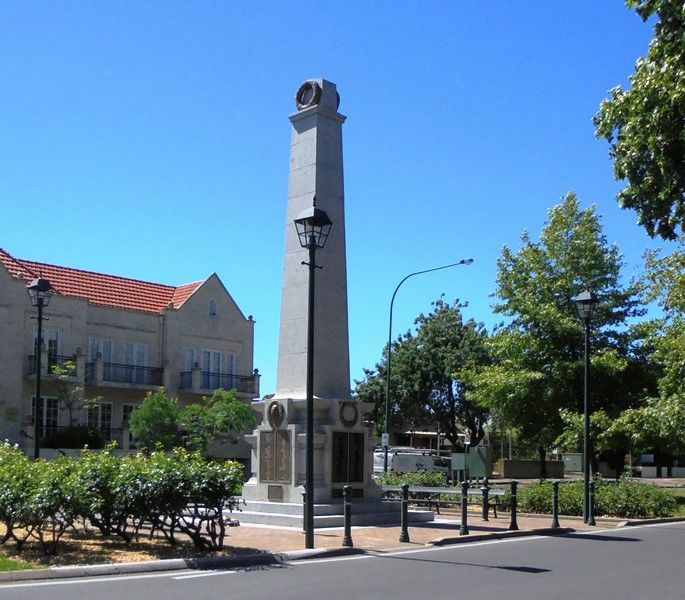 His Excellency the Governor, who will perform the ceremony of unveiling the memorial, will be received at 3p.m. by a guard of honour, composed of the 10th Infantry Battalion Senior Cadets. 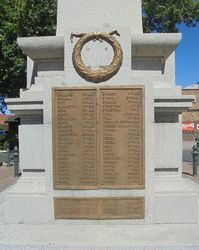 A number of wreaths will be placed on the memorial, including one which will be carried by 10 children whose fathers fell in the war. The Register (Adelaide), 2 June 1923. E. O. Gooden Town Clerk, Hon Sec. H. F. R. Culley. Architect. 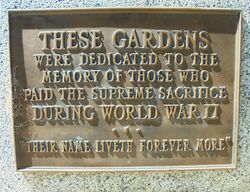 Bronze work. 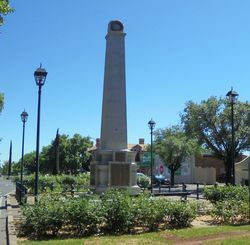 Hitchcox Bros. Adelaide.